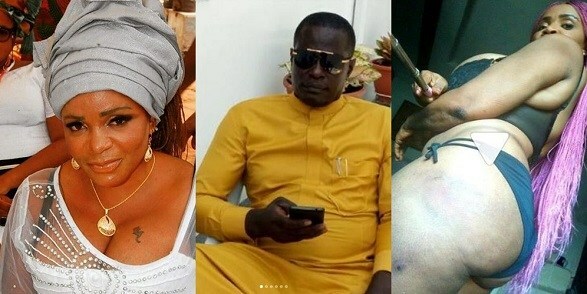 Cossy Orjikaor recently suffered assault in the hands of her neighbour whom she claimed always beat his wife and daughter. On the day she suffered the assault, she stated she saw her neighbour beating his wife and child and while trying to intervene, the man assaulted her. “I have gone to the police station and from there, I went to the hospital to get my injuries treated. “However, his wife and daughter, who also sustained injuries, haven’t been to the police station and the hospital. “I reported a case of assault at the police station and some officers followed me to his house to arrest him but he hid. He will surely be brought to book. “He has been doing it for a while. I decided to speak out this time because I was personally involved. “I don’t care if their marriage breaks because I went public with the information. “As a concerned neighbour, I can even provide the wife accommodation. “When they got married, they had nothing. The woman actually bought a property in her name and they now use it together. “They actually worked together to get all the property they own now and I am not sure that he would release any to her. “If she leaves him now, she will have to start her life from scratch and I think that is why she has been afraid to quit the marriage after giving 12 years of her life to him. “In the Nigerian situation, it is the woman that usually suffers. I grew up in an abusive home because my father used to assault my mum; so, I know what it feels like. But he never touched us, the children. “A lot of men have proposed to me, and they had said I would have to stop posting pictures on social media or that I’d have to stop acting.